Jan Ingwersen is the general manager of ENTSOG, the European Network of Transmission System Operators for Gas. He spoke to EURACTIV’s energy and environment editor, Frédéric Simon. 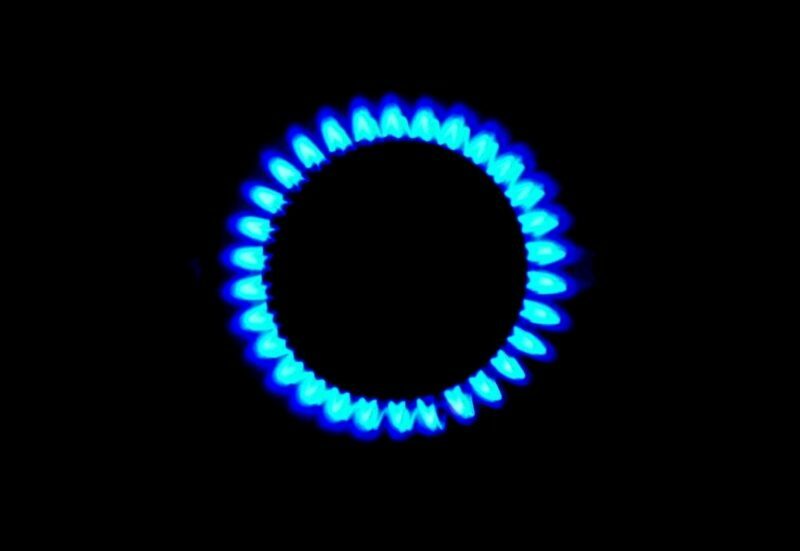 How does gas storage work today? I understand most of it is happening underground and not in the LNG tanks we sometimes see around big ports. Storage is indeed mostly underground. The two main types are caverns and depleted gas reservoirs. In caverns, you have a hole in the salt layer. And in that hole, you can store anything – oil, water, or gas. This technology is quite mature. The other one is depleted gas fields, which is porous rock. And you can inject gas in there to retrieve it at a later stage. What’s the current capacity in Europe? In the EU, we’re talking about 1,200 terawatt hours (TWh) of storage. What about pipelines? Can they be used for storage as well or are they designed just to get the gas flowing? When the pipelines are not used to their full capacity, there may indeed be some flexibility left for storage. That’s called line pack storage. In the big pipelines, you typically have a pressure of 80 bars, which is quite high. But you don’t necessarily need that much, so you can reduce the pressure and actually tap gas out of the pipeline without injecting on the other end. So the pressure then goes down to 70 or 60 bar. And you get some flexibility in that way. Now, you don’t have that kind of flexibility with the distribution grid at local level because the pressure there is much lower. It’s the high pressure of the big transmission pipelines that give you flexibility. One important difference is how long you can use the storage. Regarding line pack flexibility in the pipeline system, you typically use that for one or two days. It’s ready to tap and has a very quick response. But it doesn’t have a long duration. Whereas in salt caverns, gas can be stored for much longer and with much bigger volumes that can last for the whole winter. But it takes more time to fill them and take the gas out. So the line pack storage is usually used more to deal with short-term demand peaks whereas salt caverns and aquifers are more for the long-term. And then you can add LNG storage – the big over-ground tanks that you mentioned – as well as LNG ships. There are sometimes unforeseen circumstances, like the Russia-Ukraine dispute over gas transit fees in 2006, which left countries in the cold in the middle of the winter. After the crisis, the EU adopted new security of supply rules to ensure each country has 30 days minimum of gas stored at any moment. Has this been implemented? What we do in our ten-year network development plan (TYNDP) is test the European gas infrastructure against unforeseen circumstances such as a cold snap or a supply interruption. And the more stress you add in the model, the more areas show up in red. Now, over the years, new pipelines, supply routes, LNG and storage facilities have been added, which means the effect of supply interruption has diminished. So it’s not just about storage, it’s the infrastructure as a whole which has become more resilient. The revised security of supply directive identified three main supply routes coming into Europe –from Russia in the South, Russia in the North, and from the North Sea. And then we analysed 17 different scenarios of supply stress. In some cases, you can route the gas back from the European centre to the periphery, thanks to reverse gas flows. That was not possible beforehand because the pipelines were designed to route gas only in one direction. And technical adjustments were necessary to reverse flows, which have improved the situation quite a lot. In addition to that, we have established a regional coordination system where, along the main transport routes, TSOs can organise a virtual meeting room over the telephone within one hour. TSOs can then coordinate when there is a crisis. This system was tested last year when an explosion happened at the Baumgarten gas hub in Austria. Even in that situation, the TSOs managed to handle the situation. So the combination of all that means the gas system today is much more resilient than it was during the first Russia-Ukraine crisis. Gas market liberalisation: An unsung EU success story? The liberalisation of European gas markets is widely recognised as a major success by industry analysts. But EU politicians are reluctant to celebrate it because liberalisation on its own has failed to deliver on another key objective – supply diversification. Ironically, Europe is now more dependent on Russian gas than ever. Storage infrastructure today is being used mainly to serve unexpected demand for gas. In the future, could it also serve a broader range of uses? What we see for the future is a combination of gas and electricity as energy carriers – so a hybrid system approach, which is also referred to as sector coupling. The electricity carrier can be made of different energy sources – coal, wind, solar, biomass – while the gas carrier so far is mainly coming from fossil natural gas and a bit of biomethane. But in the future, we see a potential for having more and more renewable and decarbonised gas in the grid. And that can be methane or hydrogen, whether blended or in pure form. Then you have interaction between gas and electricity. Everyone is familiar with gas turbines that generate electricity, for example when renewables are not available. But more and more, we’re seeing it happening the other way, from electricity to gas. When there is a lot of wind and solar available which is not needed by the electricity market, then it can be converted into gas. And that is hydrogen, initially at least. Because you can combine it with CO2 to get synthetic methane. 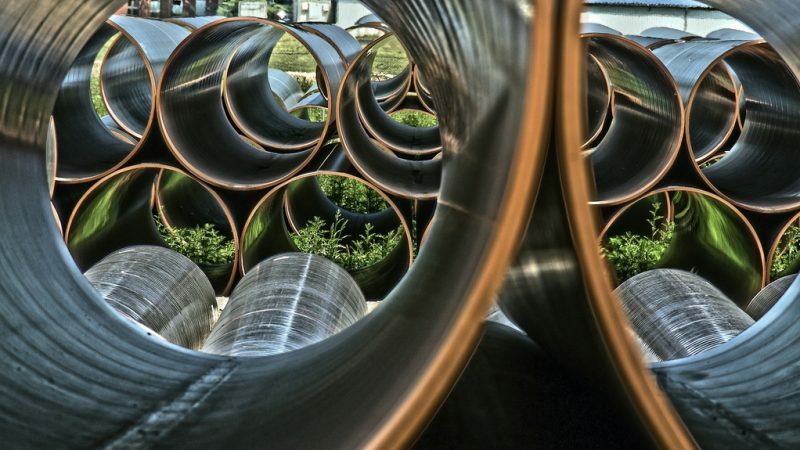 Regulators sometimes limit the capacity of pipelines to carry 2, 6 or 12% hydrogen even though the technical capability of the steel can be higher. We’re looking into these specifications as part of a technical group on gas quality issues. In France, there is a technical group which is testing different types of steels and how they can cope with hydrogen. They’re testing the valves and the compressors in order to check how the steel can cope. We need to check all this to ensure more hydrogen can be injected in a way that is safe and doable. And our members share this experience between themselves. In the Netherlands, there is a gas pipeline in an industrial area which was converted to transport pure hydrogen. So it can be done, but technical specifications need to be respected. 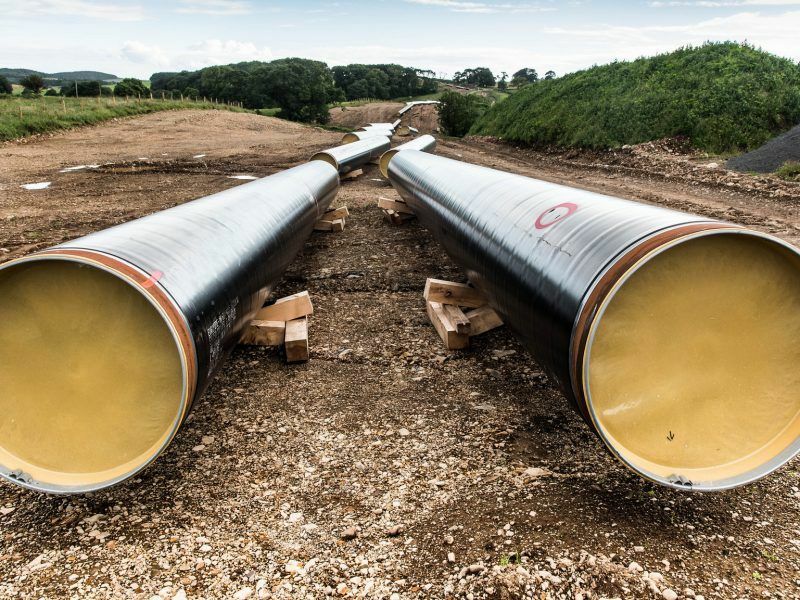 And there are hundreds more kilometres of pipelines being converted to carry pure hydrogen in industrial areas in the Netherlands, Belgium, Germany and France. In itself, transporting hydrogen in a pipeline is not something new. The challenge now is to use the existing gas grid for this purpose. …and refurbish the gas grid where necessary to make it hydrogen-ready. How big of a job is that? It depends on the starting point. One example is the H21 project in Leeds, Northern England, to convert a whole part of the city to hydrogen, including the conversion of the burners in people’s homes. But the extent of the job depends on what you have already. One of the advantages of the gas system is that it’s already there. Of course, some components of the network will need to be changed. And discussions are still ongoing to determine whether to go for pure or blended hydrogen in the system. But overall society will be better off economically if we can build on the advantages of the existing gas network instead of building something new from scratch. And that means Europe will also be able to decarbonise its energy system more quickly. The percentages are tricky and currently under revision. And we are currently discussing whether there should be a fixed percentage. Should the EU put standards in place to ensure that a minimum amount of hydrogen can be injected in the system everywhere in Europe? The goal here should be to have the internal market working as smoothly as possible. So I wouldn’t say yes to EU-wide standards just yet because the parameters are different from one country to the next. We saw that with attempts to standardise gas specifications through the Wobbe index, which is the calorific value of gas (a bit like voltage for electricity). The Wobbe index matters a lot when you come to end-user applications, such as a cooking furnace or a heating boiler. So standardisation is a double-edged sword. On the one hand, harmonised standards are great because they allow cross-border trade. The problem is, nature doesn’t deliver standard gas – the quality varies depending on whether it comes from the North Sea, Russia, or whether it’s biogas. And what we saw with attempts to standardise gas is that it excluded some LNG suppliers because their Wobbe index was too high. And the same issue might come up with hydrogen. 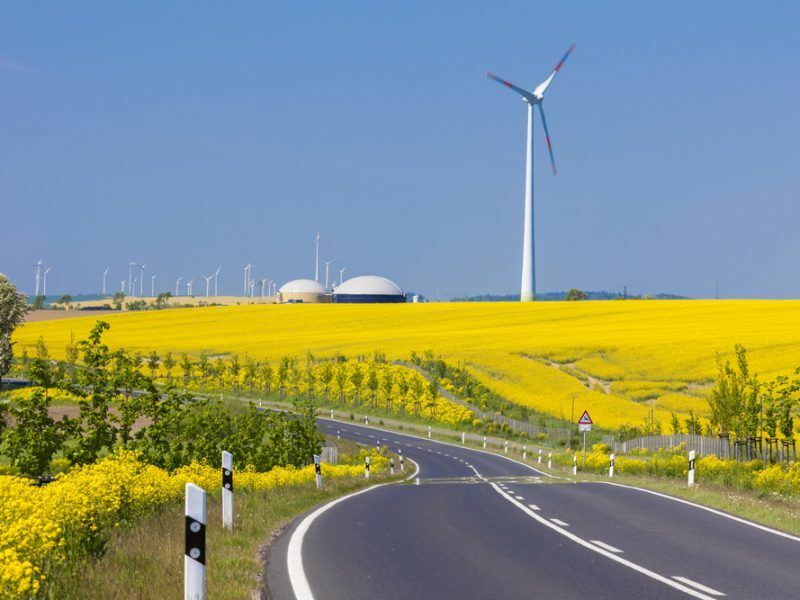 In places like Denmark, The Netherlands, Germany or Northern France, there is a potential to produce a lot of green hydrogen from wind power, which is abundant. But other areas in Europe might not have the same potential. In Italy for example, a hydrogen blending standard could disrupt imports of LNG. That means standards for hydrogen blending might be addressed more effectively at a regional level rather than across the whole of Europe. So you say it doesn’t make sense to have an EU-wide hydrogen standard? You need to do it intelligently. A regional approach is probably a more suitable solution for the time being. A dynamic regional approach will probably develop over time. If the Russians suddenly tell us they will deliver hydrogen instead of natural gas because they can transform it themselves, then you have to look into how it impacts the system. So the goal is market functioning, not harmonisation. And the role of transmission system operators is to adapt to all forms of gas and transport solutions. For instance, you could imagine that the gas transported to Europe is transformed into hydrogen at the EU’s borders. Or you can decide to place electrolysers close to a potential hydrogen source, near the point of consumption. And our role is to adapt to customer’s needs. What you’re saying is that gas operators will need to adapt to a greater variety of gases in the future – hydrogen, biomethane, and other decarbonised gases. So how can they adapt, then? Conceptually, there are several layers. First, there is a technical layer – ensuring that pipelines and compressors are fine with whatever gas is being fed to them in that region. Also, ensuring that the customers can receive it, that appliances are ready to take the different gases and that storage is ready. Then, there is a market layer – that is basically the calorific value that regional operators are paying for, regardless of the volumes. And a third layer is about the different composition of the gas. In some parts of the network, you could incorporate 10% hydrogen and 10% biogas for instance, which is greener than natural gas of fossil origin. And that can be guaranteed by a certificate system. But you also need digitalisation in order to do that. By adding sensors in the infrastructure, you can know instantly what kind of gas is in the system. And that data can be shared with customers and other market players. So we’re talking about a major digitalisation effort. This question is linked to the future role of gas in a low-carbon economy. And the thinking about this in Europe has evolved over time. Some years ago, the main assumption was that all energy end-uses would be electrified and that gas would be out. But things have changed and policymakers are now working on a hybrid system combining gas and electricity. This is reflected in the joint scenarios that we’re developing with ENTSO-E, the European electricity transmission system operators. This year, the scenario will have a broader scope and focus on scenario-building for total energy use – so not only gas and electricity but also transport, heating, and other end-uses of energy. The first is a bottom-up scenario based on the national energy and climate plans submitted by all EU member states. The second is called distributed energy, with lots of small-scale gas production. And the third is called global ambition. It focuses on large-scale solutions such as big power-to-gas facilities, large conversion of natural gas into blue hydrogen, and imports of decarbonised gases that can be produced cheaply outside of Europe. For example, this could be liquid hydrogen coming from Australia and produced from renewable electricity. So these are the three scenarios. For the last two, we assume that by 2050, the carbon emissions from energy will be zero. And that automatically means there will be no fossil gas in the mix by then. Once we have the three scenarios, we’ll start testing them against our ten-year network development plan. And from there, we will be able to establish what needs to be done to make these scenarios happen. And the reason you’re doing that with ENTSO-E is because you want the electricity and gas systems to work in sync, right? Yes, we want our scenarios to be consistent. So far, ENTSO-E and ENTSOG have prepared their ten-year network development plans separately, each doing it their own way. Now, we’re trying to bring this together and identify which projects require a dual assessment of costs and benefits – for electricity and gas. Basically, that means we’re establishing a common basis to evaluate infrastructure requirements for both energy carriers. And based on that, we’ll come up with three scenarios. All this will also feed into the reflection about stranded assets. In the electricity sector, they have this goal of 15% interconnection and have to deal with challenges like consumer acceptance for high-voltage power lines. And they’re struggling with it to be honest. While on the gas side, we already have a robust infrastructure in place, which is not always used to its full capacity. In the future, this gas infrastructure system will be used in a different way, which means finding out new business models. So I think the smart way to go about this is to consider how we can meaningfully use existing gas assets to support the EU’s climate agenda. And then we’ll see what it means for stranded assets. Because if Europe reduces energy consumption by 50% it will have consequences for the entire energy system. 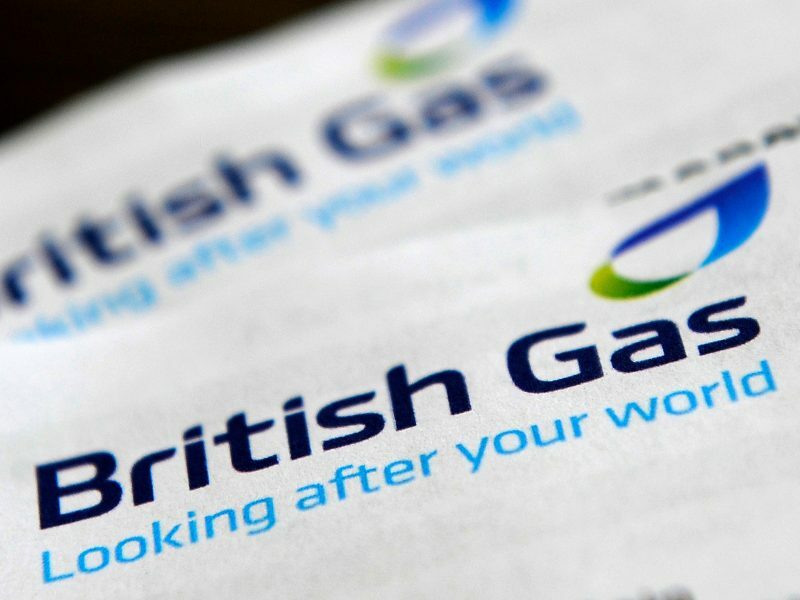 Britain must entirely get rid of fossil-based natural gas in the coming three decades if the country is to meet its long-term decarbonisation objectives, according to a think-tank close to the ruling Conservative party. You said the joint planning with ENTSO-E will lead to an evaluation of new infrastructure needs to convert electricity into gas and vice-versa. Do you have an evaluation of the costs this will imply? No. We are now in the process of making the scenarios. The draft will be published in the summer and submitted to a public consultation before it is finalised in October or November. That said, the numbers published in the summer will give an indication of cost. And then, when we start with our Ten Year Network Development Plan (TYNDP), we’ll have a more precise evaluation. You mentioned full decarbonisation as the end game, using a carbon budget. But that implies a very steep reduction in greenhouse gas emissions. How are you going to do this? It’s an incredible challenge. This is why we want to explore different scenarios and ways of addressing it. We don’t know yet how we will get there or whether we can achieve it before 2050. But at least, we’ve decided to take this challenge seriously and explore how we can meet it. Now, we are not gas producers. So what we can do as TSOs is to prepare the network in order to make sure it’s ready to take on this challenge. Decarbonised gases today are only a small niche in the market, which is dominated by fossil gas. So the production has to be ramped up significantly… Is the industry ready for that? In Sweden, Denmark and France, biogas makes up around 10% of the market so it’s not insignificant. And we have big ambitions on biogas. Now, of course decarbonising the gas sector is a huge challenge. But look at Equinor, they have big ambitions on blue hydrogen. Obviously, it will require some time to introduce low-carbon gases in the market. But if you go back to years ago, how much wind and solar did Europe have? For renewable electricity, it started a long time ago, with feed-in tariffs and policy targets. So if you put the right regulatory framework and incentives in place, it can be done. And it can become a profitable business. Indeed, the cost-benefit analysis is always a central question. Carbon capture and storage (CCS) for instance hasn’t happened because of the costs and lack of business models. And it won’t happen without incentives. If you look at it from a carbon budget perspective, then what needs to be done on the energy side becomes much clearer. More renewable electricity is necessary and welcome. Decentralised electricity grids taking increasing amounts of decentralised power generation will be necessary too. But using existing gas infrastructure for decarbonised gases will also be necessary if you want to reach the zero emission goal. And that also includes expanding the conversion of electricity into renewable gas. Do you think the Commission has understood this and is ready to put the incentives in place? Apart from the Emissions Trading Scheme (ETS), EU regulations so far have not placed a value on gas from a climate perspective. And the Commission is very well aware of that and looking to progress on this. There is a regulatory framework in place for renewables in electricity. Now, we need a similar framework for renewables in the gas sector. This could take the form of a blending obligation for biogas in some countries for instance, which is partly covered under the renewable energy directive (REDII). But we need to have other incentives in place for blue hydrogen for example. For hydrogen as such, there is no regulation at all, so there are different starting points for the different gases. So the technologies are there. But there are different legal grounds for them at the moment. 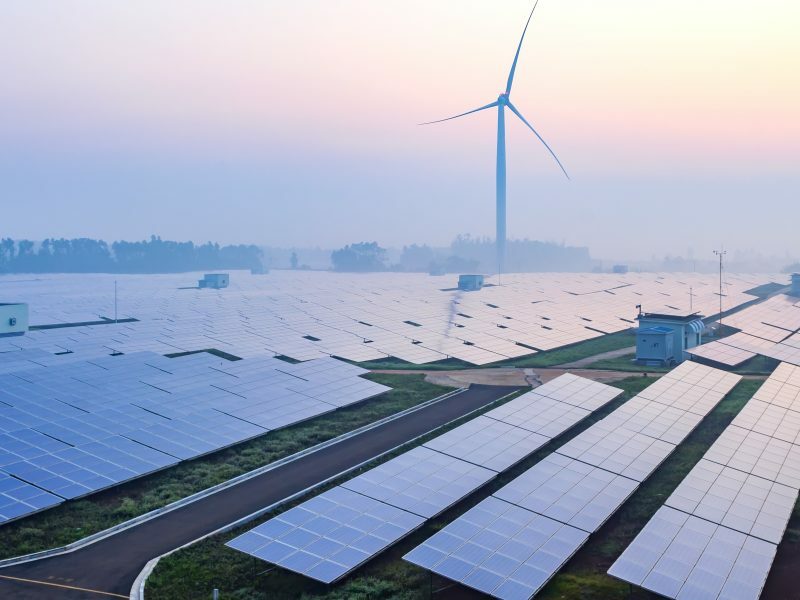 If you look at the report McKinsey did for Eurelectric, it says up to 60% of the economy can be electrified, in a high-case scenario, with maximum renewables. But the rest must come from other sources of renewable energy. And we think that gas and hydrogen – in heating, in transport, for storage, etc. – is opening up some new opportunities for decarbonisation, which has to go hand-in-hand with electricity. There is competition is some areas of course. But in other areas, there is complementarity, for example on storage. And we need to look into all those possibilities in order to decarbonise the energy system. Otherwise, Europe will fail on its 2050 decarbonisation objective, because no single energy solution will be able to deliver on its own. To conclude, what incentives would you like to see put in place at EU level in order to encourage the production of decarbonised gases? The signals we’ve heard so far from the Commission is that they don’t like feed-in tariffs. So what do they like? And what would you like? Basically, we would like to see the decarbonisation happen in the most cost-efficient way. And someone with insights needs to figure out how this is possible. Seen from our side, we believe feed-in tariffs could work. But we also accept the Commission’s viewpoint that they can distort the market, and give the wrong incentives. So maybe something else has to be found. In the UK for instance, they achieved a lot with a carbon price floor and emission performance standards. On the infrastructure side, we could put in place decarbonisation facilities and socialise the costs through gas tariffs. So there are a number of ways you can achieve decarbonisation. And we don’t have a preferred option, we only want to open up a discussion and find the most efficient way of doing it. Overall this was one of the better interviews I have read in Euractiv – Mr Ingwersen talked a great deal of sense. Comments now follow. There is something missing from this statement: “In the EU, we’re talking about 1,200 terawatts of storage. In gigawatts, we say 110 GW”. I suspect it is “hours” after 1200Terrawatts. The 110GW refers to instantaneous output. Lucky for Euractiv that an expert reads this stuff. “When there is a lot of wind and solar available which is not needed by the electricity market, then it can be converted into gas.” – true but there is no business case for taking this approach – because electroysis needs to run with capacity factors north of 30 – 40%. Using “excess” elec will not get you to this level. “And that is hydrogen, initially at least. Because you can combine it with CO2 to get synthetic methane.” Indeed you can – but again – no business case – not least because 50% of the H2 is lost in the methanation stage (& for readers: this is a function of the process & not amenable to tech solutions). “and refurbish the gas grid where necessary to make it hydrogen-ready. How big of a job is that?” the comments following this by Mr Ingwersen are a missed opportunity. On the low pressure side & taking one example by 2030 100% of the UK low pressure network will be H2 ready. I have no doubt that the situation is not so different in other parts of the EU. It might have been useful if that was highlighted. This is not a criticism – just a comment – local energy networks are always most expensive bit of any energy network. “Basically, we would like to see the decarbonisation happen in the most cost-efficient way. And someone with insights needs to figure out how this is possible. Seen from our side, we believe feed-in tariffs could work. But we also accept the Commission’s viewpoint that they can distort the market, and give the wrong incentives. So maybe something else has to be found.”. Working on the basis that there will be no reconstruction of the electricity network to reach the 100% heat pump nirvana beloved by Eurelectric – we are left with H2 as an energy vector mostly for heat: residential (low temp) and industrial (high temp). We already know (I have a paper on the subject) that it is far cheaper to produce H2 off-shore from off-shore wind farms and pipe it back to shore than to carry it as electricity (for the same cost & distance an H2 pipeline can carry 3x the amount of energy that a cable can) – so this part of the “equation” stands on its own business legs. Where things become less well understood is in the LP network and specifically the interaction between heat and elec in the residential sector. My business partner & I think there is a need to model urban/suburban networks (gas & elec) to understand energy flows and the impact of active elements such as (but not limited to) PV, elec storage, fuel cell (not the SOFC nonsense) H2 boiler. Of course one would also want to model energy renovated and unrenovated households with a parc of say 200 for realism & as a way of minismising stochastic effects. Mr Ingwersen if any the above appeals – feel free to contact me – you already have my card – we met at an Energy Post event last year. Dear Mike, indeed the figure about the 1,200 terawatts of storage was in fact terawatt/hours (TWh). This has now been corrected. I also took out the reference to the GW figure, which was mentioned during the interview by an assistant to Mr Ingwersen and was a bit misleading without the context you just gave. Okay so I’ve spent some time reading the reports associated with the CertifHy program which is involved with organising the Guarantee of Origin (GO) system for green and blue hydrogen, which has now issued 76,000 certificates and companies can now start buying and selling approved hydrogen types. This is great news and its been a real success story, with a Europe-wide system allowing producers and consumers to quantify the hydrogen they are using and ideally move to lower-carbon versions of that hydrogen, either on the basis of regulation or carbon prices for example. You can read about this at my website re-update .com. Anyway, one of the reports I read (by CertifHy) looks at the market opportunities for green and blue hydrogen and specifically the blending ratios permissible for green and blue hydrogen in Europe and the reason for those blending ratios. What is interesting about this is that the blending ratios have less to do with the distribution infrastructure, and more to do with the end-use of the gas being supplied. specific grid topology and local case. So we can see that the blending limits are not defined by the pipeline quality; the issue here is the end-use of the gas and specific application. And so it for this reason that a sequential shift to 100% hydrogen is probably a better idea in the planning stages, as the amount of hydrogen that can usually be injected is so low. We know that the European Gas Turbine Association is shifting all gas turbines in Europe to be 100% hydrogen-ready by 2030; this is very exciting news and really shows whats possible as this includes retrofits for all existing turbines. So all that is required is the source of hydrogen to power them. We also know that Toyota have developed a generic hydrogen burner for industry, which means that for those industries using gas for high-temperature heat, off-the-shelf commercial products are now available in order to switch to hydrogen. The regulator in the UK is telling manufacturers to start producing hydrogen-compatible appliances, in anticipation of the H21 NoE initiative (and further expansion of this initiative at some later date). And even recently, we are seeing more interest in Netherlands for hydrogen in industry with GW-scale electrolysis now being targeted, where costs will ideally fall from around €1m per MW today, to around €350k per MW by between 2025 and 2030. TenneT, Shell and Siemens are linking offshore wind tenders to power-to-gas in order to reduce pressure on the electrical grid, among other reasons, with 900MW expected by the late 2020s. Really however, we need 100s of GW of green hydrogen, and as explained in the report ‘Hydrogen – Industry as Catalyst’, the fastest way of achieving this is probably via blue hydrogen first. As outlined in the report, building CO2 pipelines to transport the gas offshore is the most easy and practical means of reducing emissions from existing hydrogen users today, and then expanding the number of methane reformers to replace natural gas in the future. This will be cost effective with a carbon price of €45/ton, up from €25 today. And as mentioned in the interview, this could be stipulated to be the required gas type imported (from Russia & Norway; who have both specifically expressed interest), given this high carbon price or some other regulation. And as more hydrogen is used, the market develops both in Europe and globally, with additional users such as transport making up for reduced demand elsewhere. This is the ideal situation for all concerned.